A first generation 1959 El Camino. The El Camino was a direct challenge Ford's Ranchero, a utility coupe dominating a previously untapped market. 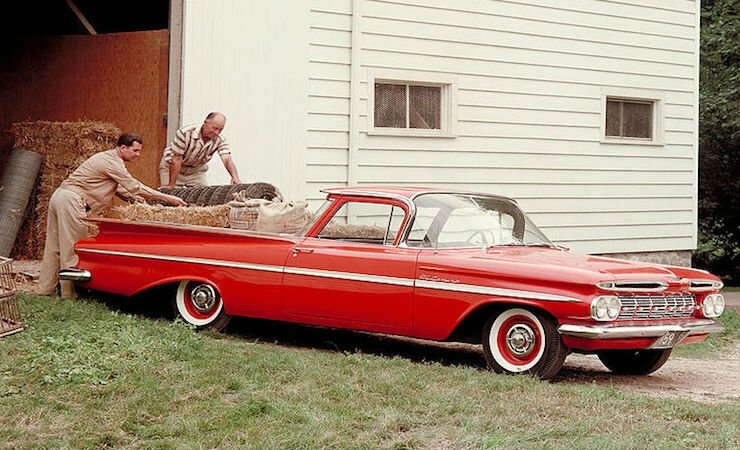 GM flirted with coupe-type trucks such as the Chevrolet Cameo Carrier and the GMC Suburban Carrier in 1955, but they went all-in with the El Camino for the 1959 model year. The El Camino was built on a modified Brookwood station wagon platform. The first generation didn't last long. 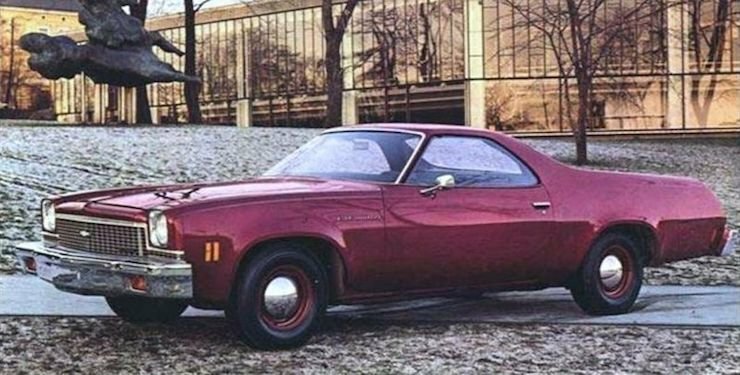 It could have been the new flamboyant wings of full-sized Chevys or perhaps the Ranchero's hefty stake in the market, but after just 2 years and 36,409 El Caminos produced, Chevy dropped the ax on the model. A second generation 1964 El Camino. With the Ranchero still selling well, Chevy brought back the El Camino on the proven Chevelle platform. The second-generation variant leaned more toward practicality but also had the option of packing a 327 cubic inch small-block V8 rated up to 300 hp in 1964. A year later, a performance version of the V8 was available that pushed it up to 350 hp. This trend of growing engines continued over the next few years, culminating in a 396 V8 big block rated up to 375 hp. 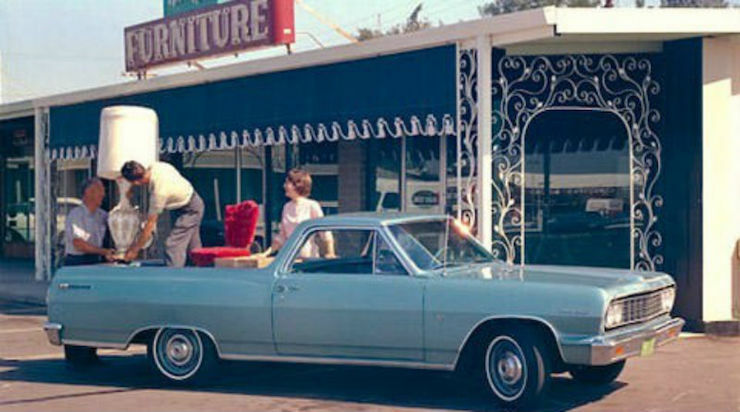 Certain Chevy models received a refreshed design in 1967, the El Camino included. This comprised of a new front bumper, grille, and trim. Air shocks were also incorporated, which allowed drivers to compensate for heavy loads. A 1968 El Camino SS 396 via Wikimedia Commons. In alignment with its popularity, the El Camino grew in its third generation and was built on a 4-door sedan wheelbase. Despite its larger size, it was lighter than the previous generation thanks to lighter construction and a front-end restyle with quad stacked headlights. This is the generation where the El Camino made the jump from utility car to sporty ride. The Super Sport (SS) 396 was launched alongside a Chevelle twin in 1968. It didn't hurt that you could pack the big block V8, which was sadly discontinued in 1975. A few select 1970 El Caminos received the LS6 454 cubic inch engine, which was Chevrolet's most powerful engine and was rated up to 450 hp. With 1971 came government mandates requiring lower-octane unleaded fuel, which resulted in reduced performance and power with the rest of GM's vehicles. A rebadged El Camino called the GMC Sprint also debuted, which featured the same transmission and engine as the El Camino. A fourth generation 1973 El Camino. The fourth generation started with a dramatic restyling, and catalytic converters were now standard equipment on all models. The El Camino was lucky enough to retain a Super Sport version for this generation, as Chevrolet dropped the Chevelle SS in 1973 and Nova SS after 1976 (they had previously discontinued the Impala, Monte Carlo, and Camaro SS trims). A new grille would debut in 1975, and a 105 hp 250 cubic inch I6 was the standard engine. The V8 was still an option, but the aforementioned government mandates meant that the 454 was only putting out 215 hp. 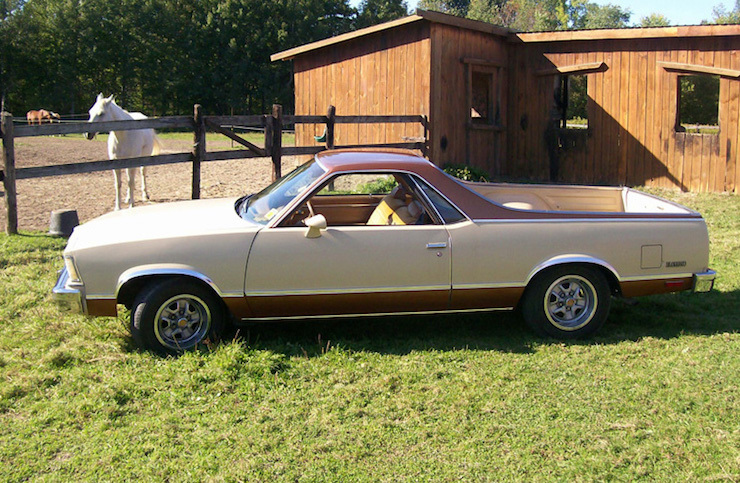 A fifth-generation 1979 El Camino. This would be the last generation produced. 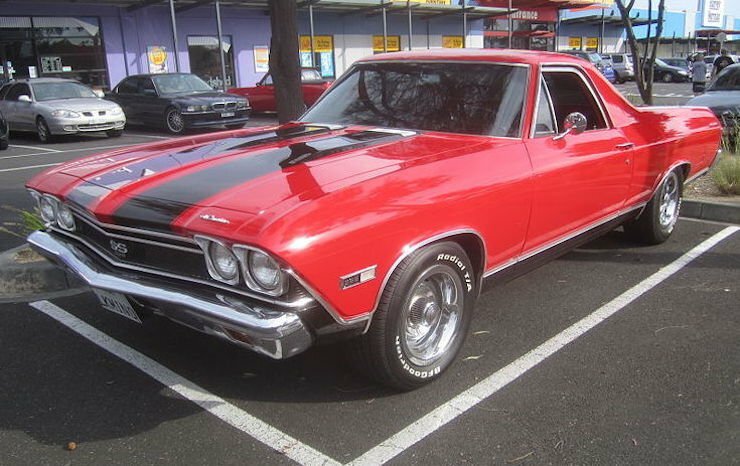 The fifth and final generation saw a smaller, sleeker El Camino with sharper styling and a single headlight design. V6 engines were available for the first time, and from 1982 through 1984, diesel engines sourced from Oldsmobile were also an option. After the 1984 model year, El Camino production was moved to Mexico, and in 1987, the El Camino was discontinued thanks to outstanding sales of the Chevrolet S-10 pickup. It's been more than a quarter century since the last El Camino rolled off the production line, and its story reads like a washed-up celebrity who was in the spotlight, then out of it, then got back in for a late-career surge before being cast to the side for newer, better models. But is there room for a comeback? Chevrolet debuted an El Camino concept in 1995 based on the full-size Caprice station wagon, but production was cancelled thanks to the rise of the SUV. All we can do now is wait patiently for a possible future with an El Camino, and ponder the all-important question: Is it a car, or a truck? If you asked Chevy, they'd tell you it's whatever you want it to be.